Enjoy the ultimate soothing experience and sleep like an angel! The best pillow is not necessarily the one with premium design and fabric. There are also many other important factors attached to a pillow. A suitable pillow determines the quality of sleep one gains. The pillow must support the sleeping position, despite the sleeping position whether that is side, back or stomach sleeping positions. The wrong pillow worsens headaches, neck stiffness, shoulder/arm numbness, discomfort, snoring and wheezing. A wrong pillow makes night resting a problem. Aside from selecting the right pillow depending on the sleeping pattern, ensure that your pillow is hypoallergenic and dust-mint resistant. Physicians suggest that changing the pillow every 12 to 18 months can help in ensuring total safety and comfort. Which Pillow is Best for You? The pillow choice depends on the type of sleeper; for instance, the side sleepers necessitate firmer pillows that fill up the gap between the ear and the shoulder. If you sleep on your stomach, you need a thinner or flat pillow. Memory foam is the best choice for the back sleepers since it shapes itself according to the curve of the neck. You may also want to check out a water pillow because of its consistent support. Keeping the memory foam pillow beneath the knees can help the lower part of the back. As a side sleeper, it is recommended to put a pillow between your knees, which helps you uphold the spinal alignment while sleeping. To support the head, you need to have a medium-firm pillow that supports the space under the neck while you sleep. The perfect pillow for side sleepers is contour memory foam pillow that contours the structure with a thicker part placed under the neck. Sleeping on the stomach adds some extra pressure to the lower back, and such pressure can cause back pain. As a stomach sleeper, it’s always suggested to choose a low-loft pillow that helps in placing the head with greater support. Physicians recommend Shredded Bamboo Foam pillow for stomach sleepers because Bamboo pillow is adjustable and can be customized according to your requirements. If you are searching for best pillow considering the pillow stuffing, memory foam and latex pillows are mostly suggested due to the additional support it offers. Cool Contour Memory Foam Pillow: The contour memory foam pillow allows better air circulation to create a comfortable surface to sleep. This pillow supports the neck curvature for support and comfort to reduce the pressure on the neck and shoulder. The contour pillow offers a cooling effect to the head, neck, and shoulders and thus, provides better comfort and alleviates uncomfortable pressure points. Bamboo Memory Foam Pillow: Bamboo pillows are completely environment-friendly, dust-mite resistant, and hypo-allergenic. The Bamboo pillow is made with bamboo-based viscose cover and shredded memory foam filling to ensure absolute safety and comfort. 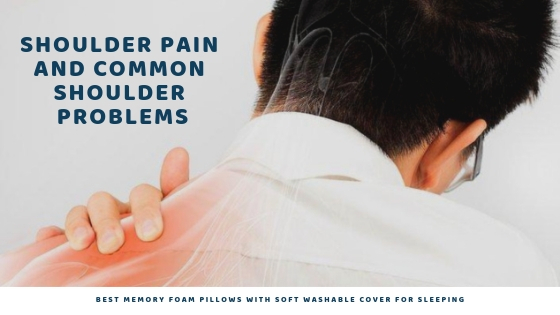 Memory Foam Infused Gel Pillow: Memory foam pillows are the combination of gel technology and visco-elastic memory foam that ensure support the neck with a cooling effect. Contour Neck Pillow: The contour pillow with high density of original memory foam and pressure relief points is perfect for neck pain relief and for those with cervical pain. It maintains the proper alignment of the neck, spine, and head that helps to have a sound sleep. You can undoubtedly purchase the best pillow for sleeping from Sleepsia that suits your sleeping needs the most by visiting the official website sleepsia.co. The website of Sleepsia consists of inclusive details for each pillow with a smooth delivery process. Sleepsia brand is known for delivering dependable, durable, and high-quality product. You can also call at 1800-862-1084 for any queries. ← Best Pillow for Neck Pain that Supports your Sleeping Position!